Thought of the perfect web address? Is the domain already taken? There are many ways to get the domain you want. This is the quickest way to purchase and then immediately begin using a domain. First the seller specifies a binding Buy Now price and then the buyer pays the exact price displayed on the domain offer page. There is no fixed price listed but offers are welcomed. When you place a bid, the seller decides if they would like to negotiate with you. If both parties can agree on a price, Sedo will complete the sale. 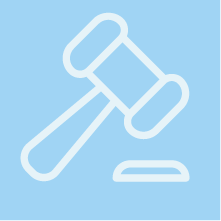 Some domains are offered as part of an auction where the highest bid wins. You can see the bids made by others on the domain page – and also how much time is remaining to place a bid. As a buyer, you can also use our Brokerage Services. Our experienced domain experts will help you with price negotiations and purchasing – even for domains which are currently not available in our database. On the hunt for a specific domain name? Using our search allows you to look for your desired domain within Sedo's database. We're sure the domain you want - or a great alternative - is for sale at Sedo. 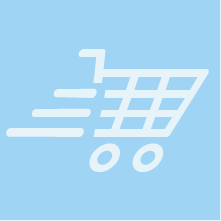 Easily compare different domain offers with in-depth statistics and detailed information about sellers. Once you find a domain that meets your needs, you can buy it - quickly and securely! Next our free Transfer Service comes into play. After the payment has gone through, we will transfer the ownership of the domain to you. Depending on the domain extension this may take between 5 and 10 days. Congratulations, your new domain name is now at your disposal! Now you can save domains in your watch list – and buy them. Clever filter functions assist with your domain search. Limit the selection by having only certain domain extensions displayed. Older, shorter domains with popular suffixes (e.g., .com or .co.uk) are of great value. 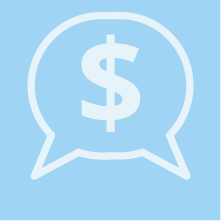 Sellers can choose from several pricing options for their domains. 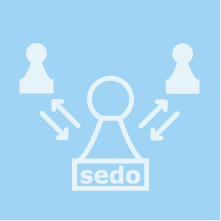 Sedo's domain Transfer Service ensures a secure payment process. The money is not released to the seller until the domain is transferred. We handle the transferring of ownership rights seamlessly. The domain is readily available to you following completion of the transfer. Domains are a central component of successful online communication. However, the majority of the best internet addresses are already owned. Therefore buying one of these domains is the best path to success. Give.com is the ultimate name for a charity, and had we not acted fast on the advice of our Sedo broker, we could have missed out on this effective branding for our cause. The domain projects exactly what we intend to do which is to positively impact more lives than all other charities combined, and I can’t imagine this being possible without a name as powerful and universal as Give.com. We simply cannot afford to sound like an inexperienced startup and with the Give.com name, we won’t. "We were convinced from the very beginning of our idea to convert customer photographs into genuine puzzles. In order to explore this potential platform, it was very important to us that we find the perfect domain for our innovative offering. Since the service was extremely well received, we prepared very intensively for our expansion to other EU countries. We have not only secured the top level domains which are important to us in each country, but also the domain title in the correct language."